This variety of common Wisteria is easily distinguished for its abundant flowering and its re-flourishing in the months of June and July. 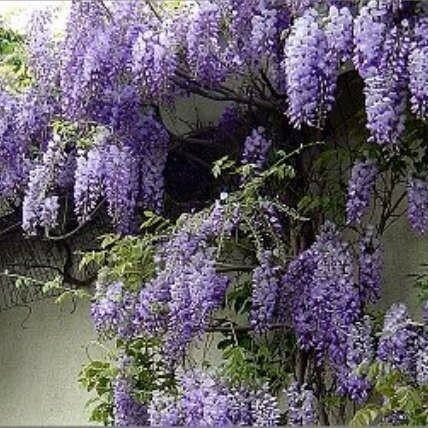 It bares flowers and bunches similar to the typical wisteria species, but fuller and more abundant. Precocious blooming it begins flowering during the 1st or 2nd year. Supplied as a strong plant, around 180cms (6 ft) tall. Flowering size plants, for bloom this Spring. 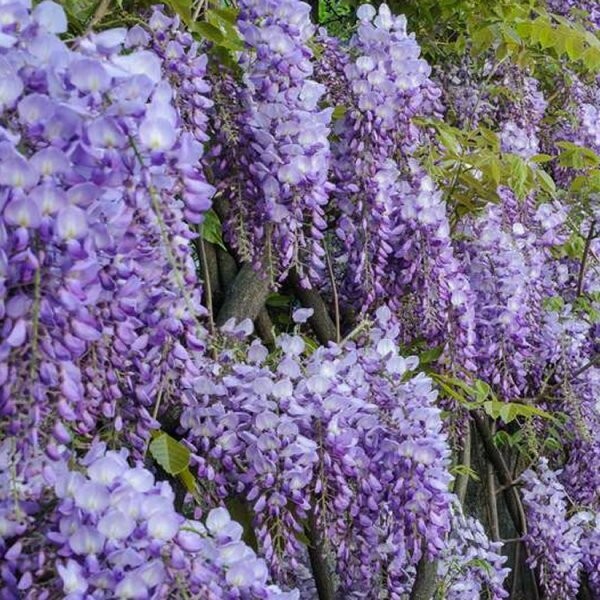 The Wisteria originated in countries such as China, Japan, Korea, and America. This vigorous, growing, climbing shrub is graced with a spectacular blossoming of flowers in spring whilst in summer an abundance of fresh, green leaves enriches it completely. Not only will this rustic shrub withstand the toughest of winters but it is also gifted with a resistance to most pests and diseases. The branches of these exuberant plants twist around their support which makes them ideal for embellishing walls, gates, fences pergolas, railings, banisters, pillars or even leave them to climb and twist themselves around the trunks and branches of other trees. This adaptable shrub will also grow harmoniously on its own. In any case, it makes a perfect plant for the most modern to the most traditional of gardens.